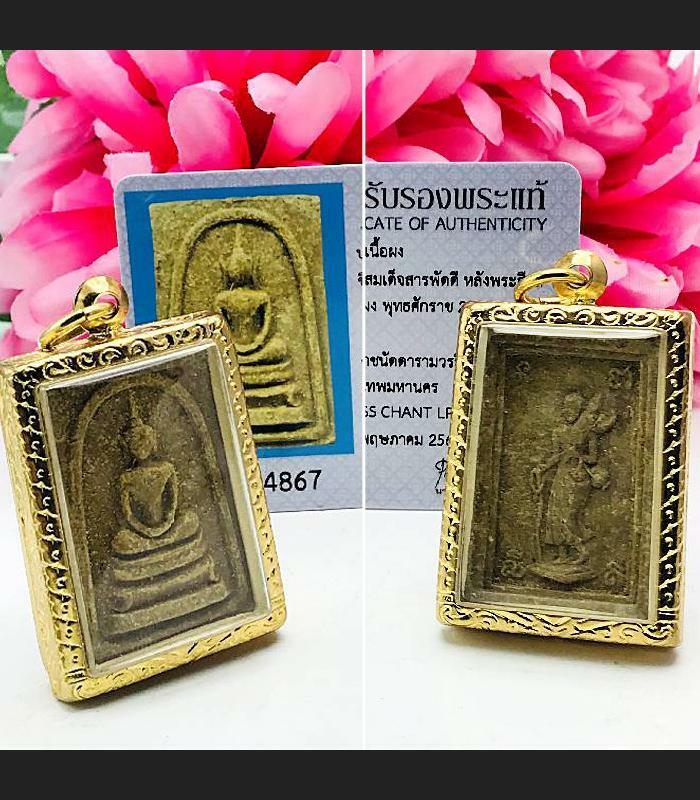 Item 名稱: THAI AMULET WEALTH RICH SOMDEJ BACK SIWALI YELLOW MEAT BE2515 LP GUAY +CERT. LP GUAY - BE2515(1972)-BE2539(1996) - PHRA SOMDEJ LANG SIWALEE WAT KOSITARAM, CHAINAT PROVINCE. LP GUAY PASSED AWAY ON 12TH APRIL BE2522(1979) AT THE AGE OF 74 YEARS OLD. 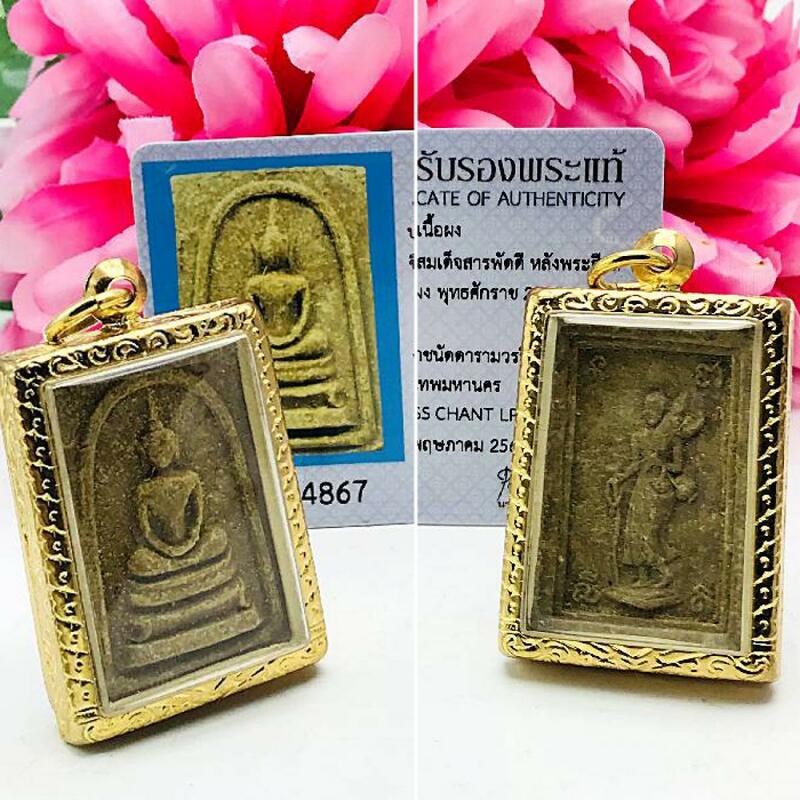 THIS ITEM MAKE IN BE2515(1972), AND PLACED IN CHEDI TILL BE2539(1996), WITH A TOTAL OF 24 YEARS.